So You Think You Can Mom? 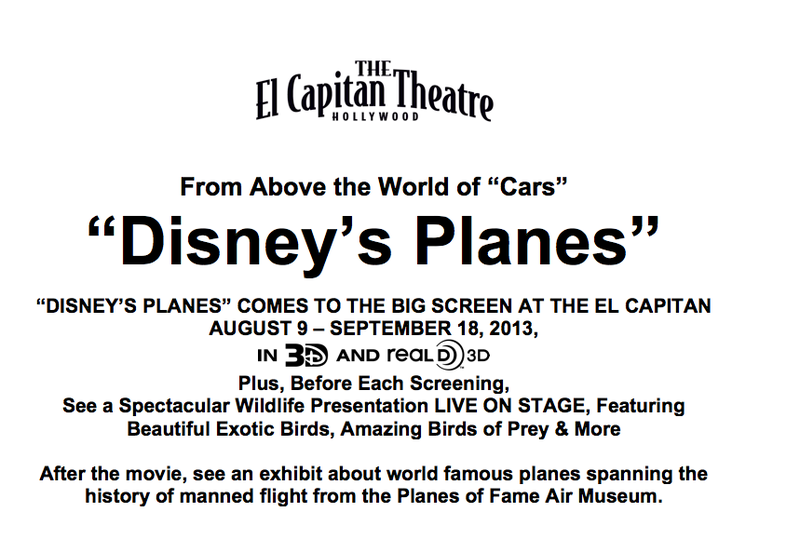 : Disney Planes Soars Into The El Capitan Theatre! Disney Planes Soars Into The El Capitan Theatre! 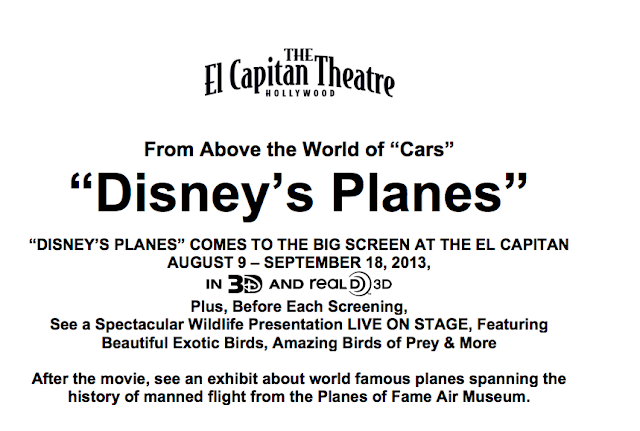 From above the world of “Cars,” “Disney’s Planes,” presented in Disney Digital and real D 3D, lands at the El Capitan Theater, Aug. 9 – Sept. 18, 2013, along with a wildlife presentation and an exhibit from Planes of Fame Air Museum. This high-flying experience happens exclusively at the El Capitan Theatre. In celebration of “Disney’s Planes,” the exclusive El Capitan wildlife presentation before every showing of the movie takes El Capitan audiences sky high, bringing them up close with exotic, beautiful creatures who inspire the dream of flight. After the movie, an exhibit about world famous planes spanning the history of manned flight will be on display courtesy of the Planes of Fame Air Museum. The El Capitan Theatre will also host Tiny Tot Tuesday in 2D every Tuesday. 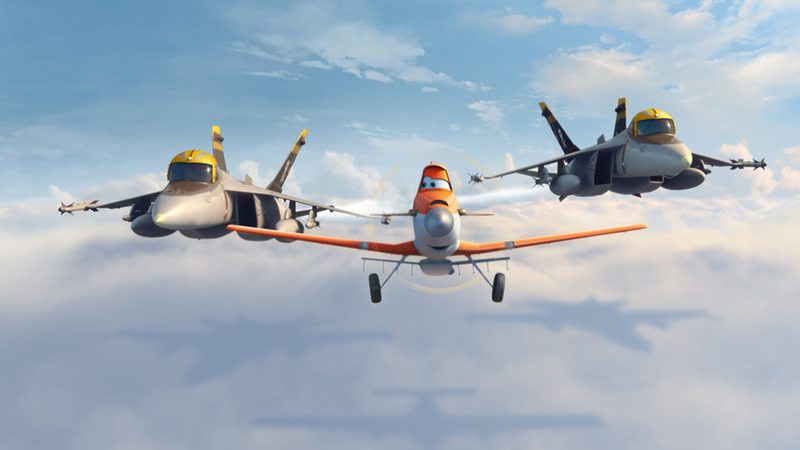 During this special screening of “Disney’s Planes,” parents and small children can enjoy the movie in a Tiny Tot-friendly way­––complete with lights dimmed (rather than out) and reduced sound levels. Additionally, the El Capitan offers guests the opportunity to receive the red-carpet treatment with a special red-carpet party of their very own before viewing “Disney’s Planes.” For more information and to make required reservations for a red carpet party, call 818-845-3100.